A secondary piece to Moncada in the mega-deal that sent Chris Sale to Boston, Michael Kopech was at the time the top pitcher in the Red Sox farm system, with a monster 70-grade fastball and a stellar plus slider. At that time, Kopech was considered to be destined for the bullpen, however the White Sox gave him every chance to make his way as a starter. Kopech rewarded their faith by proving he has the gusto to make it in the rotation. Kopech ate up Double-A to the tune of an 11.69 K/9 and 2.87 earned run average in 119 innings pitched, earning a promotion to Triple-A by the end of the 2017 season. Turning the page to 2018, he continued his tear at the Triple-A level, outdoing his Double-A performance, posting a 12.11 K/9 and a 3.00 earned run average in 126 innings pitched. As is the case with most fireballers, Kopech as had his fair share of struggles with walks; in 4 starts at the major league level, he was able to get more of a handle on that though, allowing only 1.26 BB/9 in 14 innings pitched, until he fell victim to the Tommy John Monster. Those two pitches don’t break apart until halfway to the plate! How on earth are you supposed to hit that? Well, you’re not and clearly, Sano couldn’t. Currently rehabbing from the aforementioned Tommy John, Kopech’s 2019 is lost. Looking ahead to 2020, which will be his age 24 season, he should be fully healthy and ready to rock. It will be worth monitoring if the progress he made on his walks carries over. Tommy John notwithstanding, once he’s back on the mound he has top of the rotation pedigree and stuff. Given the potential resurgence of Lucas Giolito, the White Sox pitching staff looks to be in rather good shape for the future. 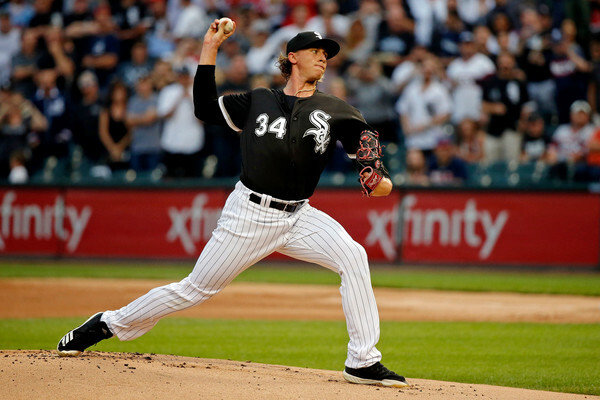 If the Kopech owner in your league has soured any based on the Tommy John set back, do anything you can to gobble him up, much like those pitches gobbled up Sano. The rebuild is a disaster! Nothing is going right! Moncada is a stunted prospect. Kopech’s arm has blown out. Dunning’s arm has blown out. Dylan Cease is a ticking time bomb. Lucas Giolito is trash and we’re not re-signing Carlos Rodon. Blake Rutherford and Luis Basabe are not even good IRL prospects. Luis Robert, Micker Adolfo, and Jake Burger are all made of glass. Zach Collins is going to be a worse Mike Zunino. Everything is bad. There is no hope. Just trade Eloy for, I don’t know, 3 supposedly top talented prospects and hit reset already. From a surface level fantasy perspective, Anderson did everything you could ask for last year. He stayed healthy, posted a 20/26 season, improved his walk rate (5%) while decreasing his strikeout rate (24.6%), and improved his defensive abilities. Power and speed! That’s good! Right? Well, I would posit that Anderson is on shaky ground. Last year, among qualified shortstops, he was still in the bottom 5 of walk rate and top 5 of whiff rate. Among that group, only Alcides Escobar had a worse on-base percentage. His xBA (.227) was worse than his .240 average. How? One could reasonably guess the computer nerds saw an exit velocity and hard-hit rate in the bottom 10th percentile, threw up in their mouths a little bit, and said they’d rather have Anderson’s predecessor, Marcus Semien. 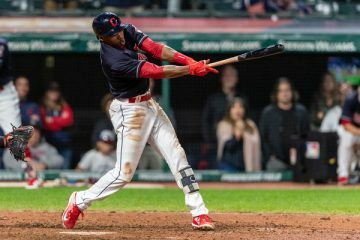 Pair that with a fringy 10.5 degree launch angle – something that’s barely on the cusp of a line drive – and you are hoping these soft dribblers find infield holes, just get over the heads of an outstretched glove, or allow Anderson to use his speed to beat out a play. I want – so, so badly – for Anderson to work out. I really, really do. When speed is at an all-time low, Anderson’s value plays up. But then you consider he was an inefficient base stealer – caught on the basepaths 8 times in 34 attempts – and you wonder how long the Sox are going to let him run. Maybe they tighten up the reigns this year and he gets 22 stolen bases. Given the aforementioned hard-hit rate and questionable launch angle, you should assume a handful of those home runs were lucky. According to ESPN’s metrics, 5 of them were “just enough”. So you knock down 2 or 3 and you’re at 17 or 18 dongs in a year. Now, you’re looking at a 17/22 shortstop. Undoubtedly, he still serves a purpose, but it’s not as pretty as the 20+/20+ ceiling a lot of owners are expected. His value is knocked down even further if you’re in an OBP/OPS league. If you can’t tell already, I’m worried. Maybe it’s the Sox fatalism that runs through my very core, but all of this seems suspect. It’s clear, at the plate and on the base path, Anderson has a hard time “developing a feel for the game”. He’s still 25. We’ve given Aldaberto Mondesi a pass and he’s shown the same plate approach deficiencies. At best, his production value stays about the same. Still, we like to see our players grow a bit more markedly than Anderson. My assumption though, is a small fall off will happen. When it does, with the future being as bright as it is for shortstops, Anderson becomes a top 15 player at his position. A power hitting catcher with advanced plate discipline. Drafted 10th overall in 2016 for those reasons, thus far Collins has lived up to his scouting report. Throughout the minors Collins had shown an extreme ability to get on base, and while his power took a small dip last year (from 17 to 15 homers) I wouldn’t be too concerned. The thing about Collins is he’s definitely an offense-first catcher, with there being some major concerns around his defense. Though he was credited with improvement in this area as recently as this past Spring. However, we won’t know how that’s going to shake out until he’s behind the plate every day at the Major League level. The power did drop off in 2018, but nothing too dramatic. Hopefully, it’s also overlooked as well, as he did also win the Home Run Derby at the Southern League All-Star Game. He also still showed off his knowledge of the strike-zone, getting on base at an absurd .382 clip, and seeing 4.36 pitchers per-plate appearances. There’s little doubt in my mind that those skills are going to transfer to the majors. However, this is going to make Collins much more important in OBP leagues. In average leagues…eeeeh, not so much. He’s managed to bat above .250 only once in his three years in the minors. Contact’s just not really going to be Collins thing, but now given the current catcher landscape it’s not a complete disaster. He’ll still provide plenty of power and will be worth owning and starting even in average leagues. Collins will get his first taste of Triple-A in the International League this season. His home park (BB&T Ballpark) should have him continuing to post plenty of power numbers. Collin’s ability to take walks is also unlikely to change as well. The great news here is that he’ll likely see time in the Majors at some point this year, with almost an assured starting gig in 2020. As the year goes on I’d expect the chatter of both Collins’ performance and proximity to the majors to increase his stock. Thus, he’s worth holding on to if you’re thinking about selling because you happen to loaded at catcher (good for you btw). However, if you’re looking for a young catcher in OBP formats the time to buy is now, and not later this year when he’ll likely cost more. The time to grab Collins is now. Prior to him getting any closer to the majors. Those of you in OBP leagues, in particular, should be aggressive in acquiring the 24-year-old backstop if you’re in need of one. Though Wellington Castillo and James McCann make for a dynamic-catching duo, neither one of them should keep Collins out of the line-up for much longer. Expect a September call-up at the latest, and a secured roster spot at the end of next year. I’m hopeful that Collins sticks behind the plate for a few years at least, but with Jose Abreu likely head towards free agency after this year, there is the possibility that he slides over to first base. At worst then we have a version of Adam Dunn with less power… Not the most attractive of first base options. The organization seems optimistic about his ability to stick behind the plate, and therefore I encourage you to be as well. 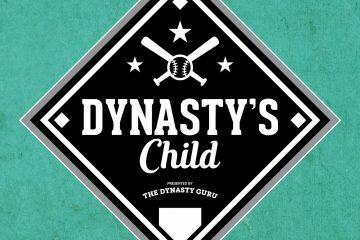 He’s a must-own in OBP formats, and a great source of power from that is the current landfill known as the catcher position.